Item 2 (FC#2) and item 3 (FC#5) are available on the Form Controls set in the Controls group of the Developer tab (figure 1). Other available Form controls include (figure 1, top row) Button (FC#1), Check Box (FC#3), Spin Button (FC#4), Option Button (FC#6), (figure 1 second row) Group Box (FC#7), Label (FC#8), and Scroll Bar (FC#9). Unavailable (disabled, as shown by the greyed out appearance) items Text Field (FC#10), Combo List - Edit (FC#11), and Combo Drop-Down - Edit (FC#12). 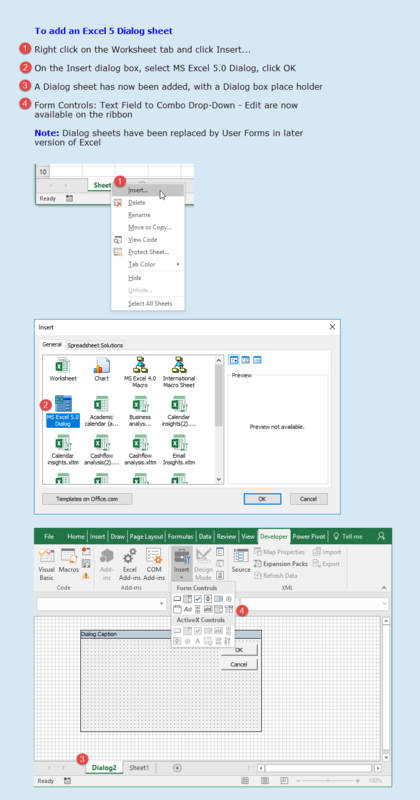 Read more about Excel 5 Dialog sheets and controls CLICK . 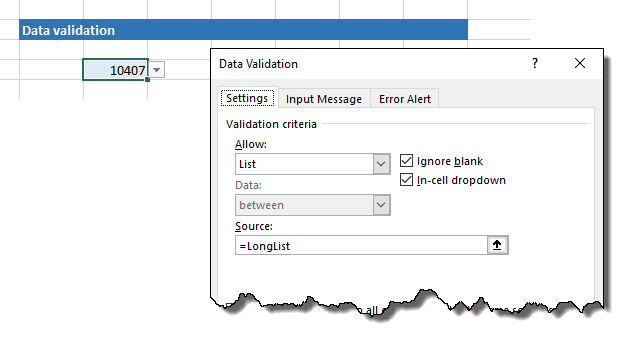 Available on: the Data tab - Data > Data Tools > Data Validation. Adds a DropButton to a cell, with Settings, Input Message, and Error Alert user options. Only Allow: List is described here. 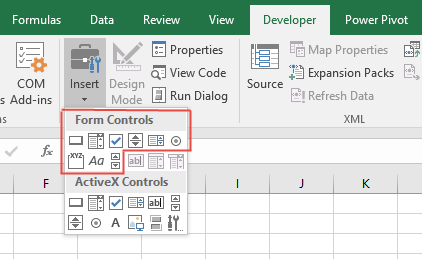 Available on: the Developer tab - Developer > Controls > Insert > Form Controls > Combo Box (Form Control). A ComboBox is a combination of a list box and a text box. The WS control does not permit direct entry in the box. Available on: the Insert tab - Insert > Text > Text Box. See the example in the Option buttons example WB.